I thought I would share with you, some of my favorite haunts in Marrakech. Having lived in the Red City for almost a decade, I like to think of myself as in the know (although things are always changing in this city and so I'm always learning). So in upcoming months on this blog, you will find round ups on some of my favorite spots. 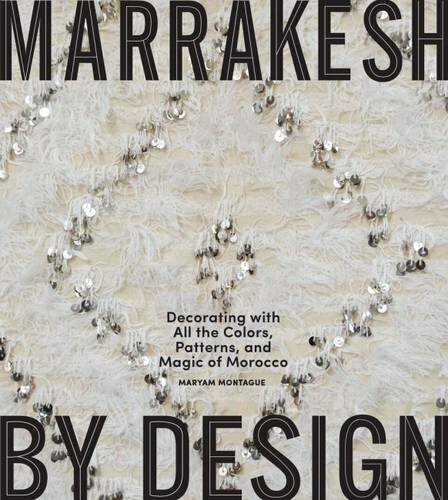 This will make it easier if you're planning a trip to Marrakesh. And if you're not? Well, a little more fodder for dreaming. To start, some of the best places to eat in the Marrakech old city, or medina. After wandering shadowy and scent-filled souks, bartering for tea glasses, and avoiding the path of anything with wheels, chances are you're hungry. 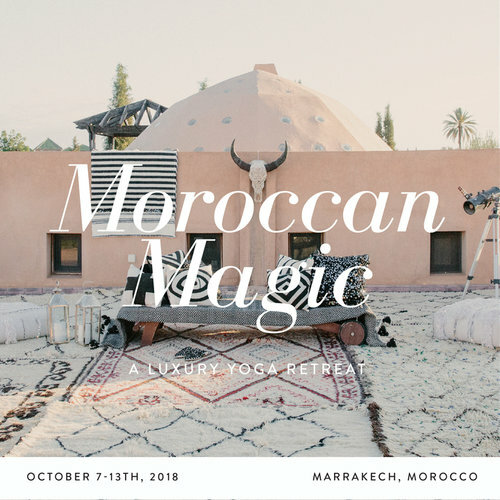 Whether you're a fiend for French food or looking to eat your weight in couscous, Marrakech has all the culinary culture your stomach could desire. The destinations are walkable from Jemaa el-Fna, prices affordable, and Moroccan magic is tangible. If you want to walk away from the charming chaos of Jemaa El-Fna, merely wander down one more busy street and head into Zwin' Zwin' Café. The staff is inviting and the atmosphere is cozy. Enjoy a slice of zucchini tart and a silver pot of tea on the terrace, or come by in the evening for a Moroccan mojito. The prices are super affordable, so pocket your extra penny and head around the corner to their boutique for a colorful collection of leather accessories and women's fashion. The vibe is very relaxed. Cafe Kessabine has a view onto the main square where you can witness the famed hustling and bustling. Hike up to the top terrace for the best viewing! There are indoor and outdoor seating options at which to enjoy simple Moroccan meals. The vibe is super casual. This great place is located in the Kasbah and is known for its quirky atmosphere and adorable owner, Mike. The menu is healthy and hearty, and you can even order a camel burger. I'm a personal fan of the milkshakes. You'll find art exhibited on the walls and live music often echoing through the indoor and outdoor seating areas. There are traditional storytellers twice per week, cooking classes, as well as other cultural workshops, such as Arabic calligraphy classes. This is a very cool spot and not to be missed. The vibe is casual. Le Tobsil may be the perfect restaurant for you and your sweetie if you're looking for a romantic atmosphere with attentive service. The restaurant offers authentic and traditional Moroccan cuisine in several courses. The Gnawa musicians provide for fun entertainment and picture-taking. Reservations are mandatory here, so do yourself a favor and confirm your spot ahead of time! The restaurant at La Maison Arabe is a wonderful more formal option in the medina. Home to the city's oldest cooking school, The menu mingles between Moroccan, Mediterranean, and international selections. Don't skip the starters!. In winter, I like to come here for drinks before dinner and sit in front of one their cozy fireplaces. If the weather is fine (and it usually is) ask for a seat by by the pool for some incredible atmosphere. Satisfy your stomach and soul equally at the lovely I Limoni. There's a pretty vibe on the central courtyard with clusters of seating. The host (whose house I shot for my book) is an Italian set designer and so it's no surprise that the menu is Italian. Culturally assimilate by wrapping up your meal with some limoncello. Feel like eating in a botanical garden? 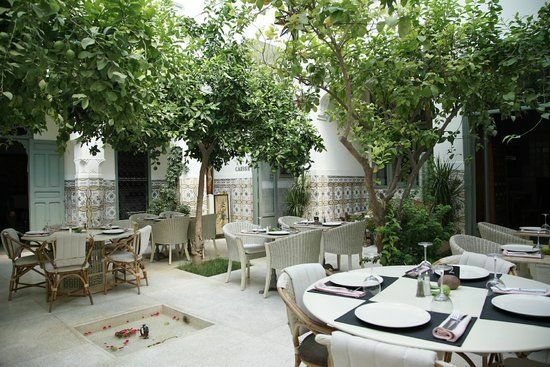 Le Jardin is an oasis of greenery and yummy Moroccan and Mediterranean food. Enjoy your time in the sunshine while visiting Marrakech - grab a spot on the terrace! Also take a peek at Norya Ayron's boutique upstairs, adored by the likes of Sharon Stone. After a morning shopping in the medina, you can often find me lunching at the Terrasse Des Epices! I love the big salads served in large hand blown glass bowls, but there are also tagines if you prefer. There's no alcohol, so get your fix of cinnamon tea or a hot chocolate. Once you are done lunching, head immediately downstairs to the pretty boutiques that lie directly below. If you want to sample Moroccan flavors with a very modern flair, head straight to this new restauarant, Salt Marrakech where you can sample 5 inventive courses. There are often great visiting chefs like this one and the focus is truly on the food. A long-time Moroccan culinary hub in Marrakech (with an excellent Moroccan cooking school), Salt is a great addition to the city. Tell them Maryam sent you. There is no better blend of traditional Moroccan, fine French, and International cuisine (for everyone else) in the Marrakech medina than at Le Fondouk. This is a spacious space, so perfect for dinners for groups and birthday celebrations. Always reliable and loved by quite a few in the city. PS Many thanks to my assistant guest manager, Grace Davin, for her excellent help on this post.